Softness, a rounded taste and an enveloping aroma. 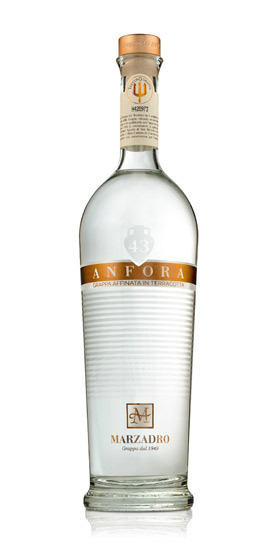 These are the qualities of Anfora, a Grappa that brings with it all the qualities of traditional ageing in wood with the distinctive feature that it does not rest in the barrel but, in fact, in amphorae. A new technique that uses one of the oldest containers known to man, terracotta vases useful for transporting and storing wine, oil, honey and other food. 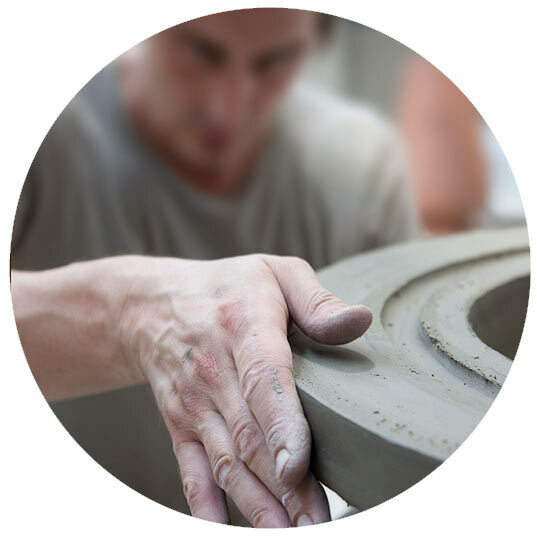 The amphorae we have chosen are a blend of different types of clay, materials that come from Montelupo and Impruneta, Tuscan towns famous since the Middle Ages for working and crafting ceramics and terracotta. An innovative technique for distillates that we wanted to experiment with, achieving excellent results: the micro-oxygenation, twice what we find when using barrels, enriches the Grappa’s elegance and softness, giving the characteristics of ageing without the classic flavour of wood. 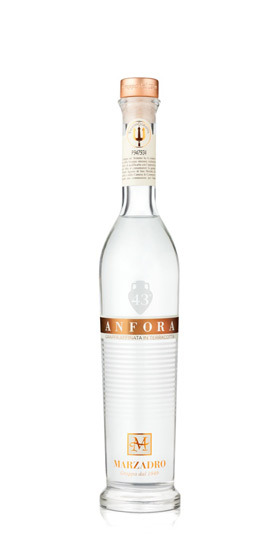 Anfora is a Grappa made of a blend of pomace from grapes indigenous to the Trentino region: 80% Teroldego, Marzemino and Merlot varieties; 20% Chardonnay, Müller Thurgau and Moscato varieties, which give it the typical, unmistakable aromas of this area. Ageing: 10 months in 300-litre amphorae. 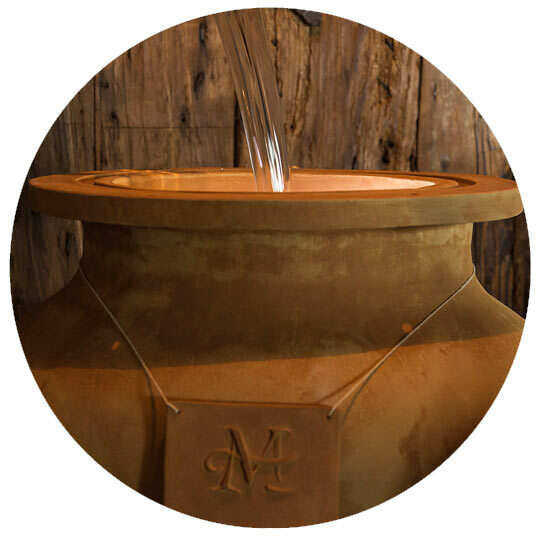 1.The amphorae produced are the result of a partnership between industry technicians and our master distiller who, through study and experimentation, have found the right solutions in terms of the mixture of clay and its subsequent firing, ensuring ideal ageing for a distillate as distinctive as Grappa. 2. 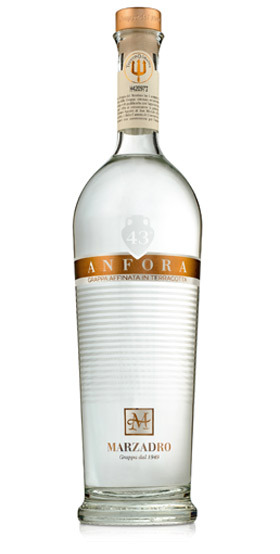 Anfora is a Grappa made of a blend of pomace from grapes indigenous to the Trentino region: 80% Teroldego, Marzemino and Merlot varieties; 20% Chardonnay, Müller Thurgau and Moscato varieties, which give it the typical, unmistakable aromas of this area. 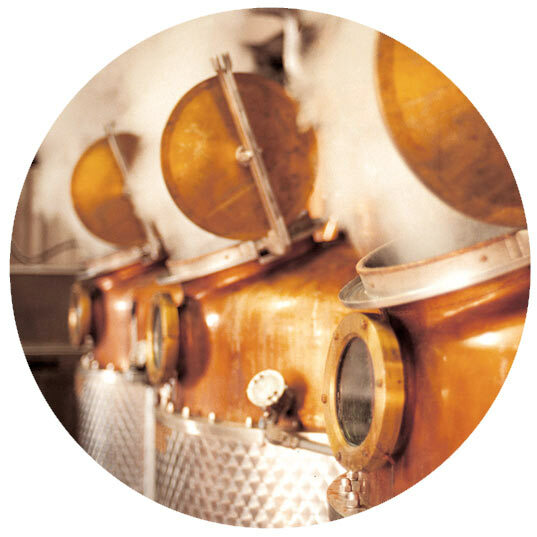 3.It is distilled using the traditional Bagnomaria method, in pot stills. 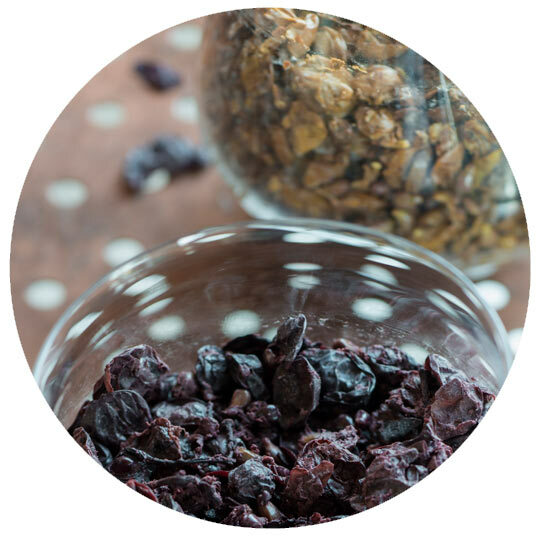 By placing the fresh pomace in the boiler, it is slowly brought to a temperature that allows the alcohol and aromatic substances present in it to gradually transform into steam (88 °C). At this point, the steam is concentrated, passing through the rectification column, and then moves into the coil where, as it condenses, it returns to liquid form, resulting in Grappa. 4. The ten-month ageing period spent in 300-litre terracotta amphorae gives the Grappa a unique softness and elegance, thanks to micro-oxygenation, twice what we find when ageing takes place in wooden barrels.